Late February in Barcelona and the citrus trees are festooned with heavy fruits, leafless white-barked plane trees soar into blue skies (maybe we were lucky) and a few delicate blooms of purple bougainvillea cling on gamely. The squawks of the Monk Parakeets vie with the roar of traffic around the City, sending you scuttling for the narrow streets of the Barri Gotic when the noise gets too much. 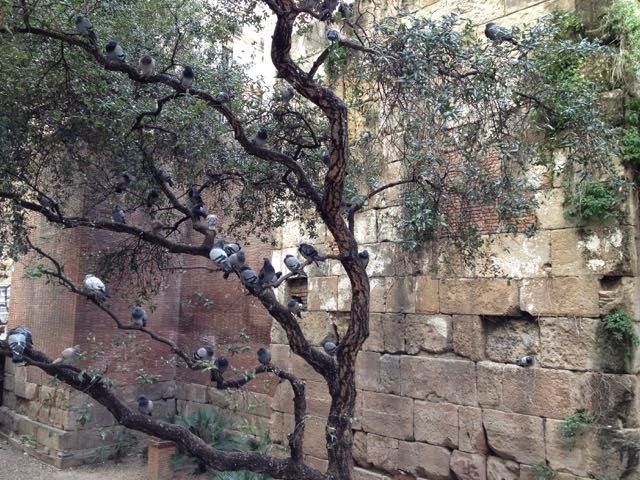 Here, I find the most ridiculously picturesque feral pigeon roost I'm ever likely to see. Breakfasting in a hotel rarely appeals to me. Early mornings are, I think, the best times to dive into unfamiliar streets and simply follow your nose. The aroma of eggs being cooked, bread baked and coffee brewed draw me down the streets and alleyways of cities. Sometimes it’s good, sometimes bad and, if you’re lucky, it can be revelatory. I know Barcelona pretty well and this time I’m staying close to the best place for coffee. I was introduced to Nømad Coffee soon after it opened in 2014. Starting off its life as Cøffee Lab & Shop (Nomad Productions), which I wrote about last year, I'm glad to see it has now settled on an easier name to remember. 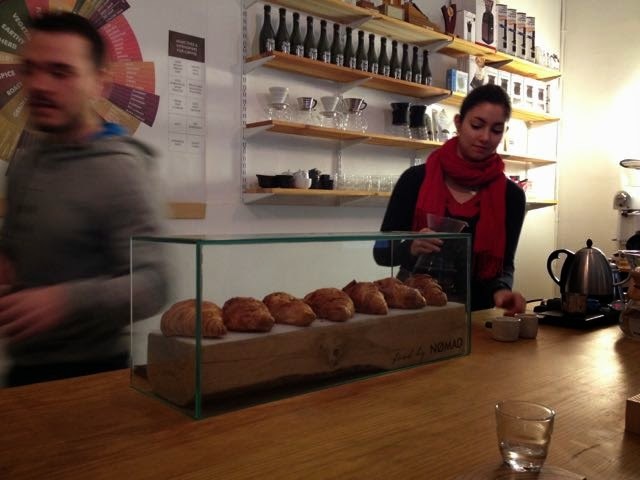 The place has only got better, serving up, for my money, the best filters and cortados you will find in Barcelona. The staff are lovely, it's hip without trying and it sits in the rare haven of peace that is Passatge Sert in El Born. 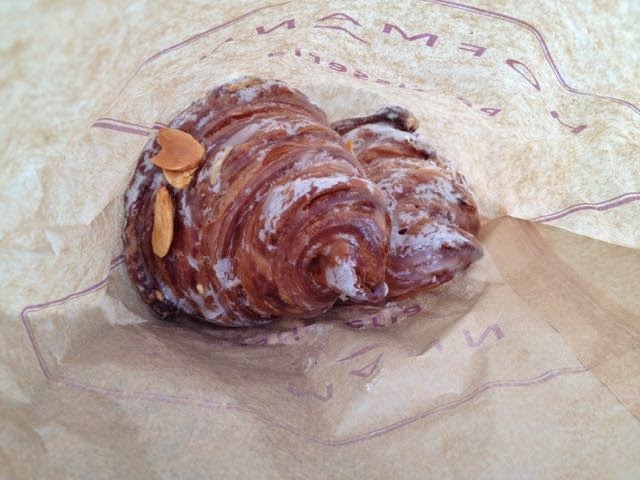 What's more they'll now serve you the best croissant in Barcelona too, from nearby El Born bakery Hofmann. Another recent arrival is Satan's Coffee Corner in the Barri Gotic. It's very close to the Cathedral de Barcelona but hell to find. Worth seeking out too for Ken's great sandwiches and salads. 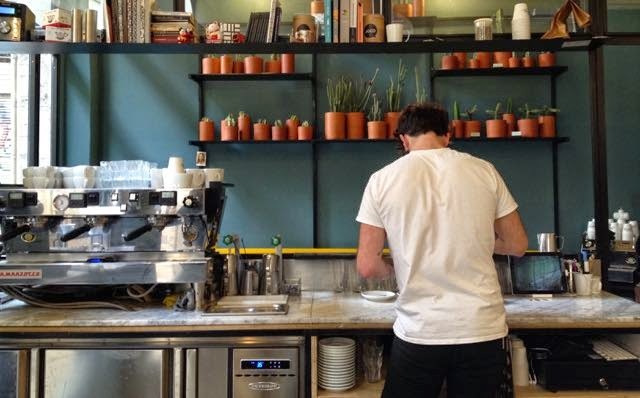 If you prefer your coffee more traditionally Spanish, the best place for that is the institution that is El Magnifico at Career de l'Argenteria 64. When lunchtime comes around, I make no apology for yet again recommending Monvinic in the Eixample district. I last wrote properly about this fantastic wine bar and restaurant back in 2013 and its standards are as high as ever. The cellar stores several thousand bottles of wine from all over the world and there's a library should you want to make a real study of them. But it's not just the wines that bring me back to Monvinic. The food, served in both the low-lit bar and the stylish restaurant is very good and the Menu del Dia remains astonishing value. Two 'Tapas' dishes (really not that small), a main, a dessert, a glass of wine, bread and water for Euros 19.50 is a steal. 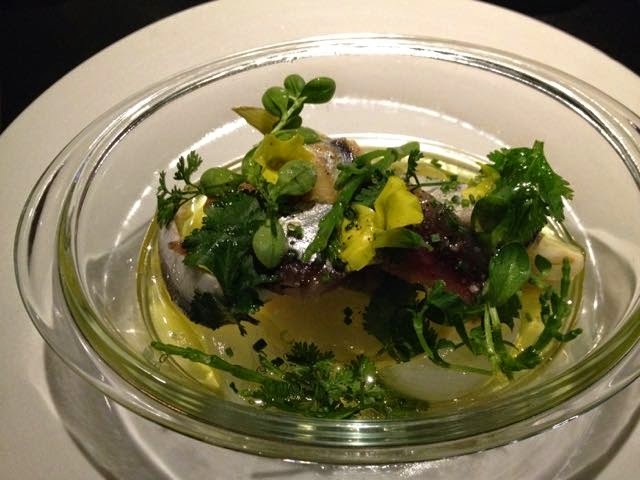 To start, a small dish of Sardines and Anchovies - a perfect balance of sweetness and acidity; a cocotte of just-cooked vegetables in a light, buttery broth; a cream of cauliflower soup; and a bowl of whipped bacalla served simply with toasted bread. The Monvivic take on the very British Shepherds Pie, in this case using shredded confit duck, was irresistible to us both as a main dish and with our included glass of Catalan Do Empordà Sellecció Vinyes Velles 2011, it did not disappoint. The dessert was the only no-choice course but was a delicious chocolate tart with orange sorbet. Honestly, just go! 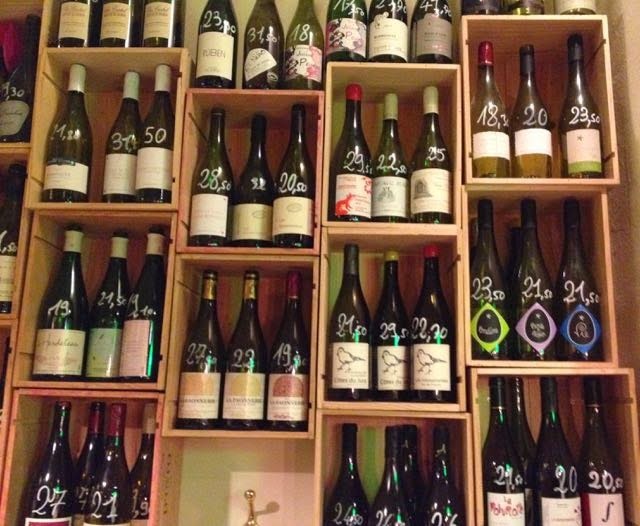 There is a clear interest in natural wines in Barcelona, evidenced at the tucked away L'Anima del Vi and nearby Bar Brutal in Can Cisa on Calle Princesa. However, it's the cosy Bar Zim which is a firm favourite for me. 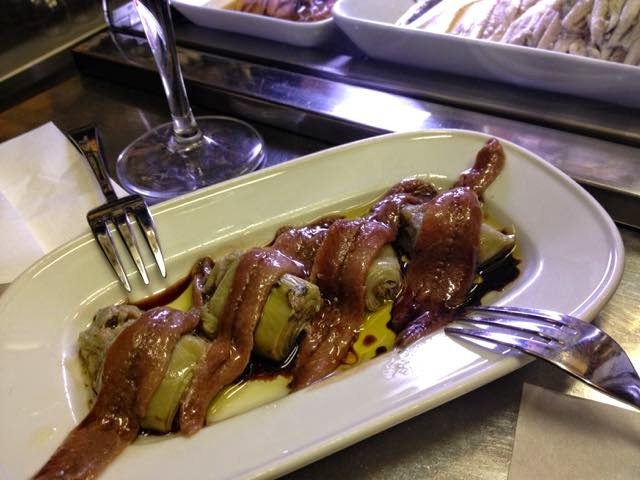 Francesco keeps a short wine list available by the glass or bottle and manages to deliver a few freshly prepared tapas using good ingredients and benefitting from having the brilliant Formatgerie La Seu just a couple of doors down. For Tapas, the Adria Brothers' Tickets and Bodega 1900 are the current hot spots, both in Parallel. Cal Pep in El Born continues to serve very good seafood but you really should squeeze into the ever-crowded Quimet y Quimet. I've already mentioned you can buy Hofmann croissants at Nømad Coffee, but for the full range of cakes and pastries a visit to their El Born Pastelería Hofmann is well worth doing - get the almond one! There are numerous good markets in Barcelona. 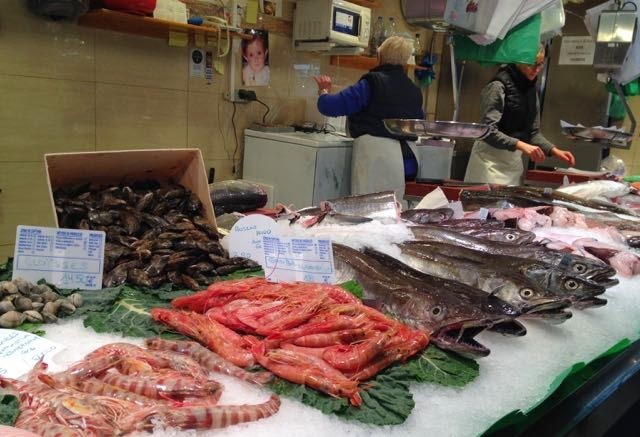 I rarely visit La Boqueria (at La Rambla 91) but can recommend Mercat de Santa Caterina on Av. Francesc Cambo and La Llibertat in Gracia for shopping. La Libertat is the least visited by tourists but there is fabulously fresh produce and I always make a bee-line for LaGrana where the delightful smallholder will point out the best Catalan pine nuts, Marcona almonds, Malaga raisins and so many fruits and then vacuum-pack them for travel - great service of excellent produce. 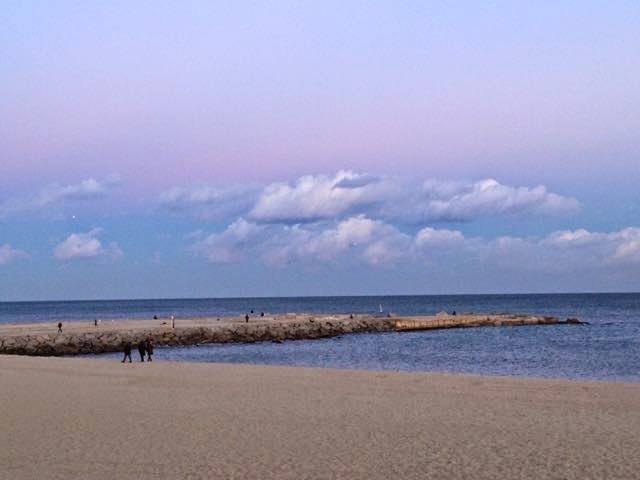 Oh, and did I mention the beach?